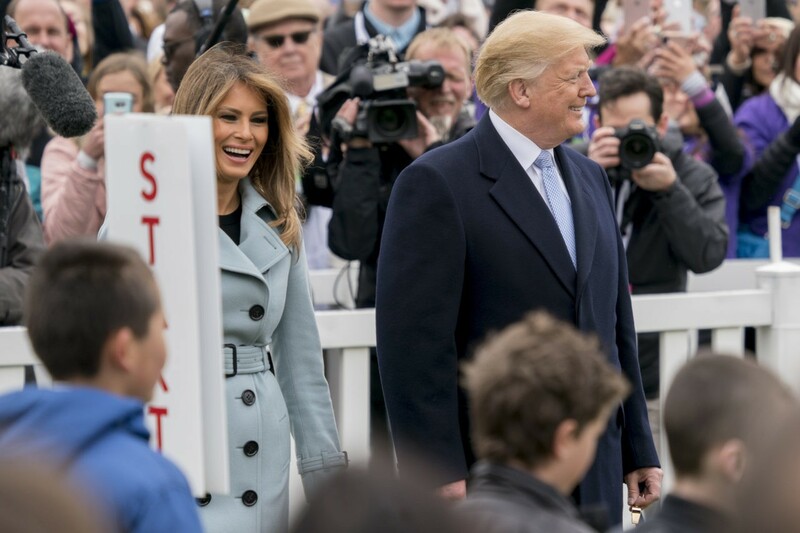 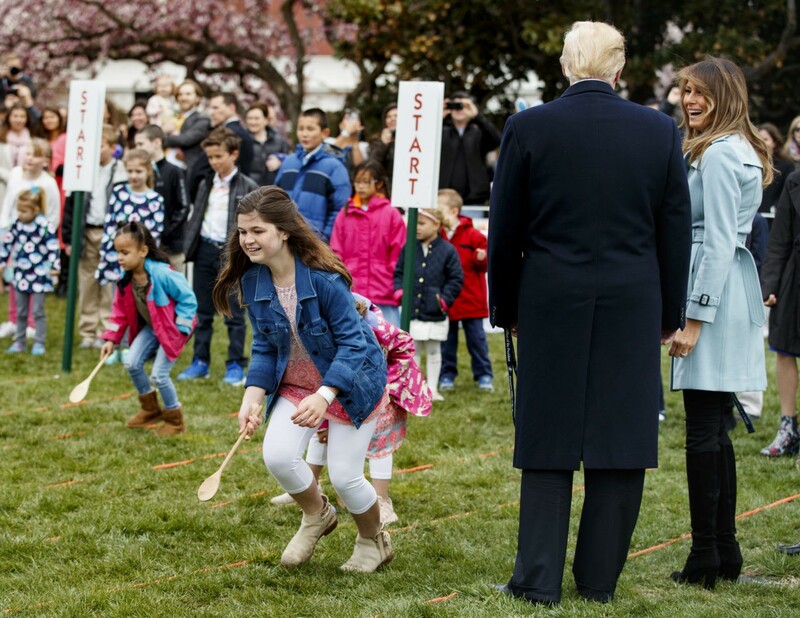 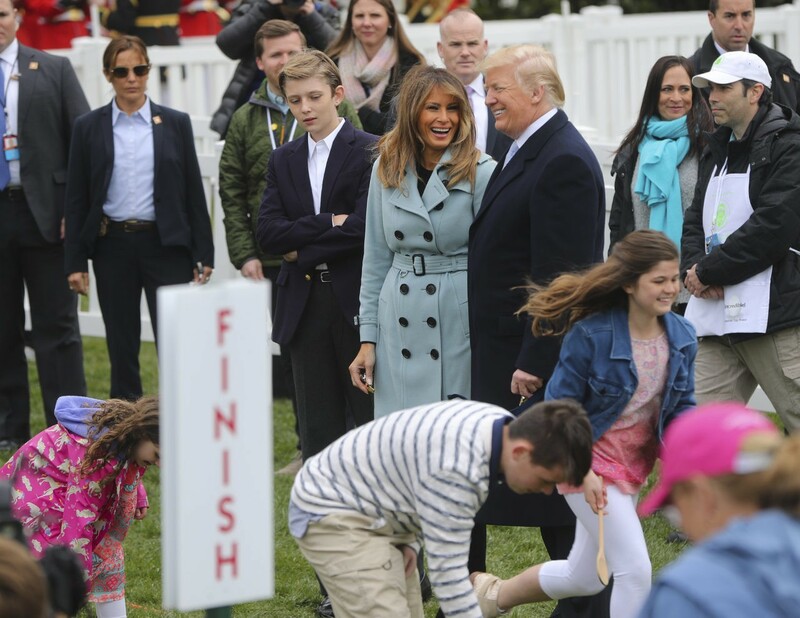 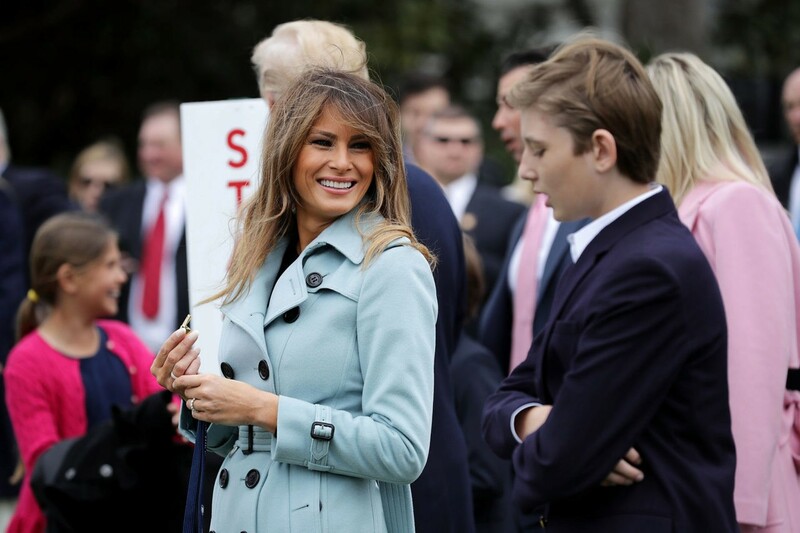 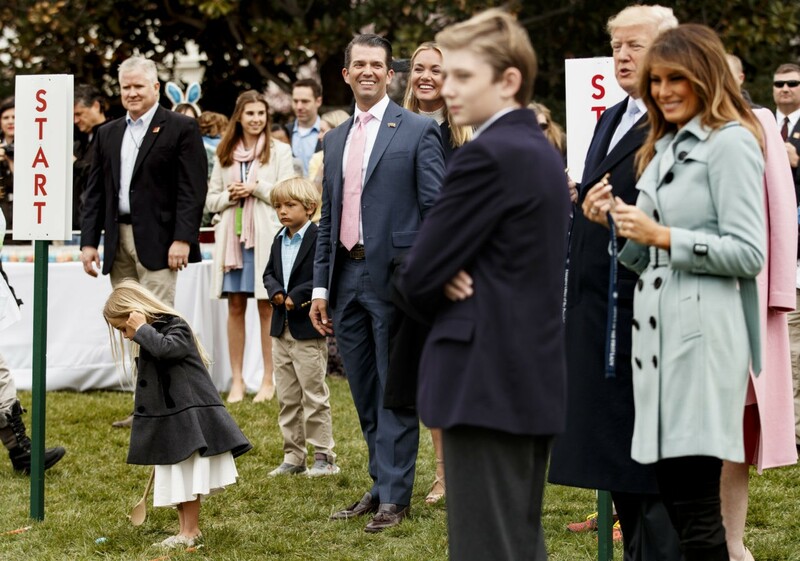 2 Apr 2018 Washington, D.C.
First Lady Melania Trump and President Trump celebrated the 2018 Easter Egg Roll at the White House on Monday with their son, Barron. 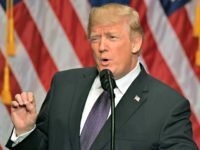 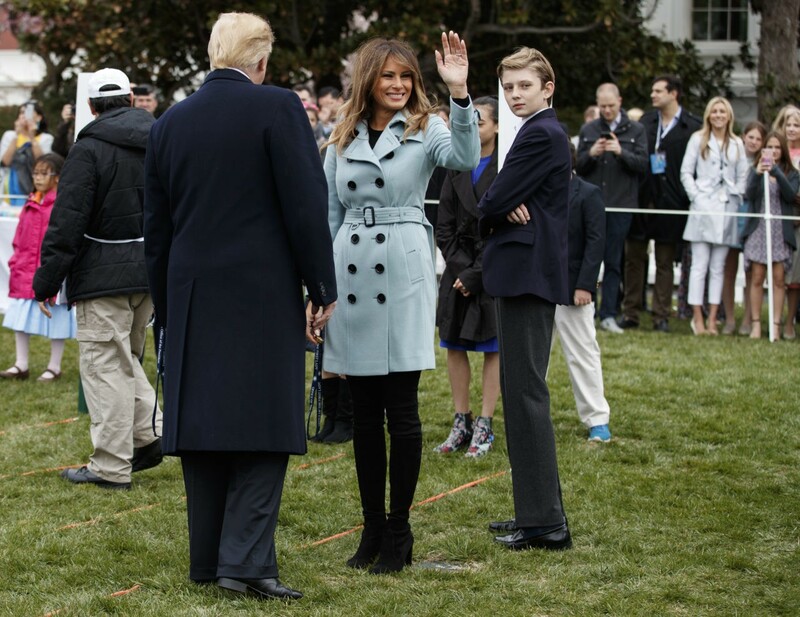 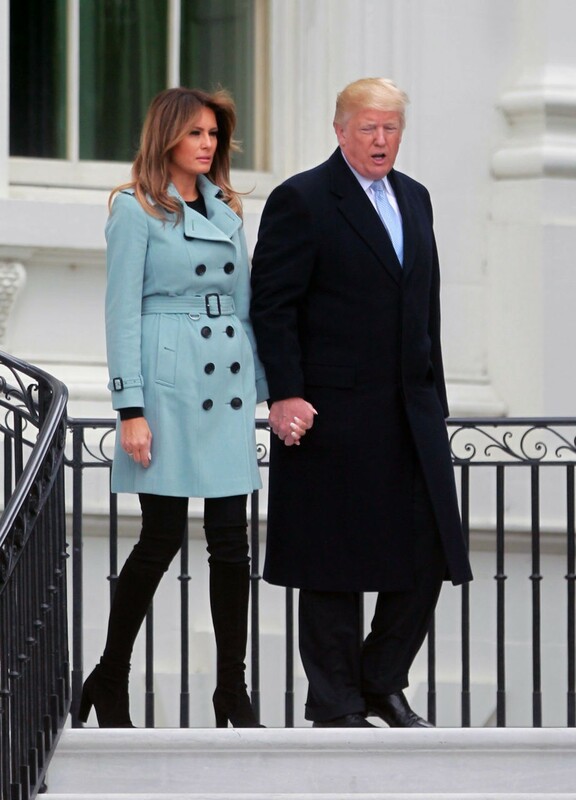 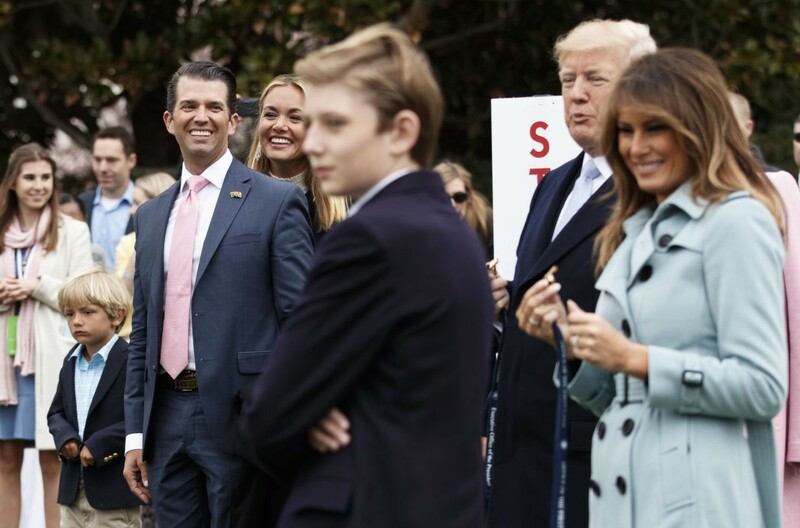 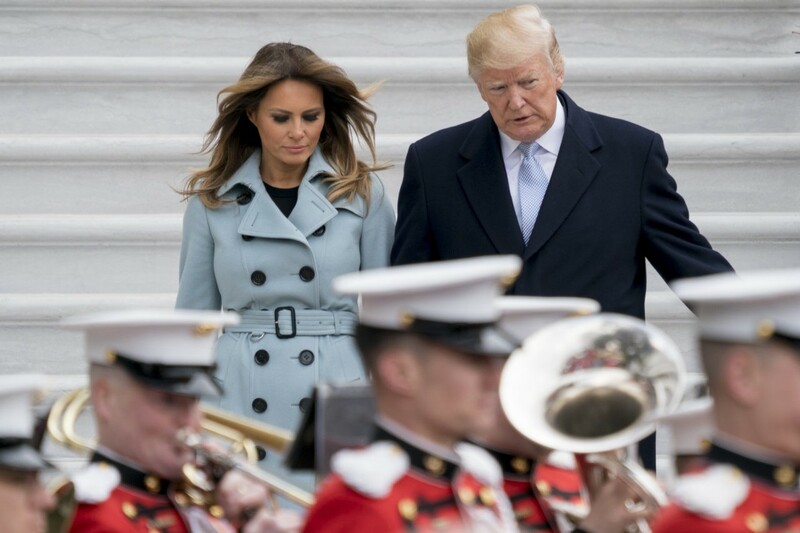 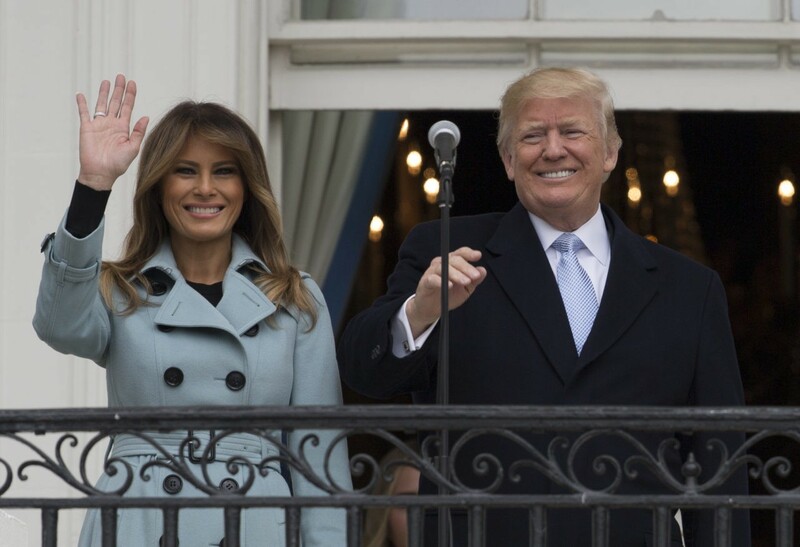 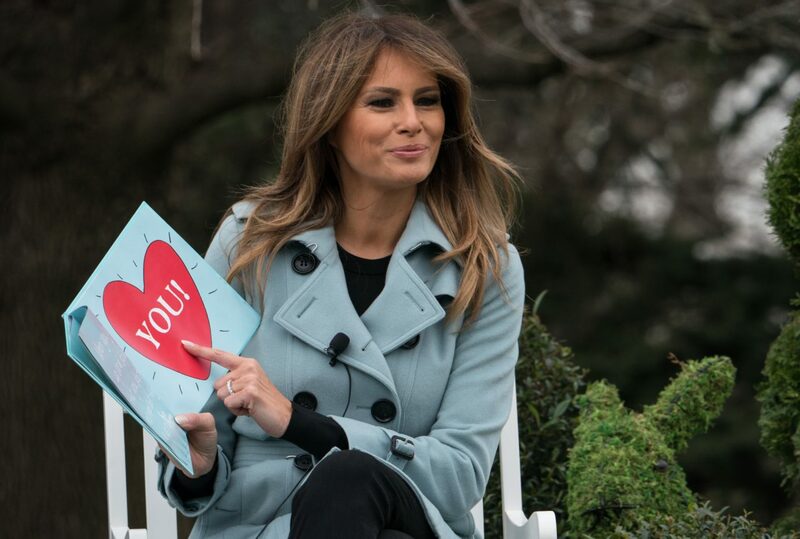 Mrs. Trump, as she typically does, stole the show in a bright, ice blue Burberry coat, black knee-high suede boots, and a million dollar smile. 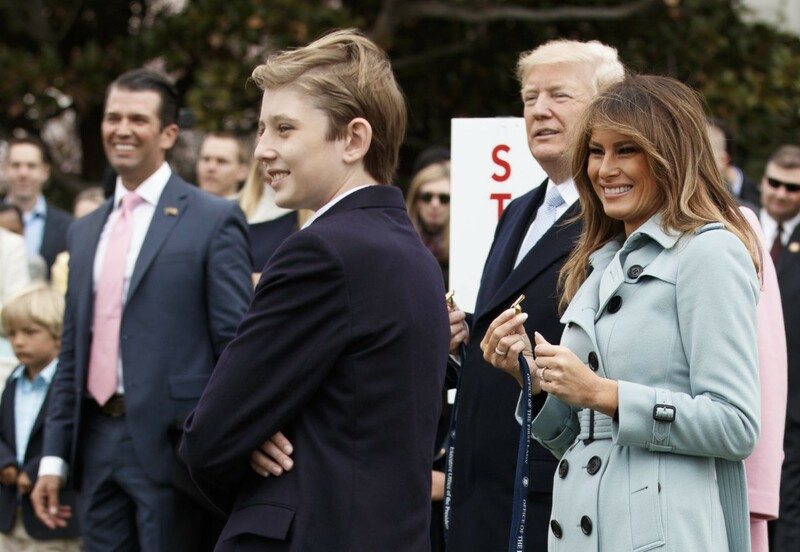 The Burberry coat retails for about $2,595. 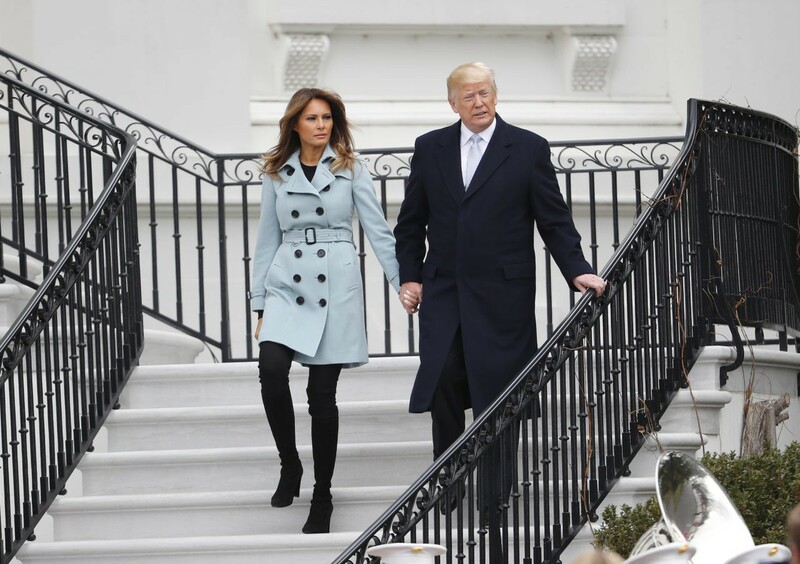 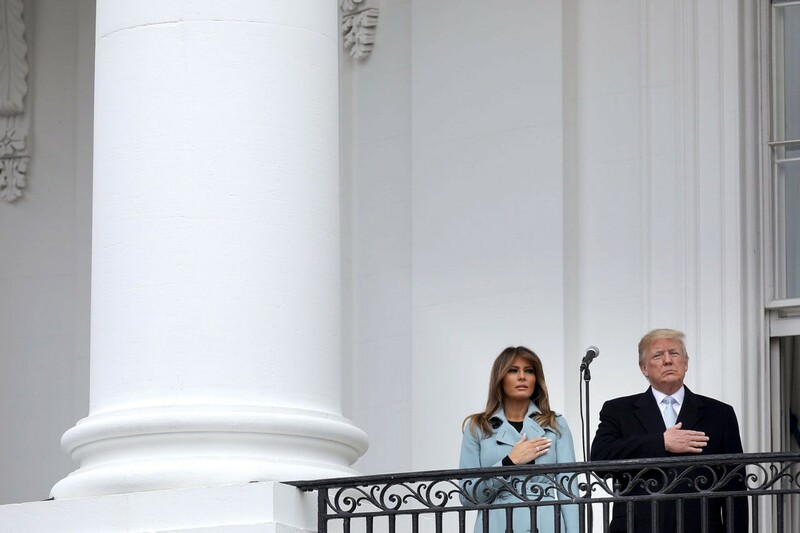 The bright, ice blue color of the coat has become somewhat of a signature for Mrs. Trump, as the color is associated with her iconic Inaugural Day ensemble by Ralph Lauren. 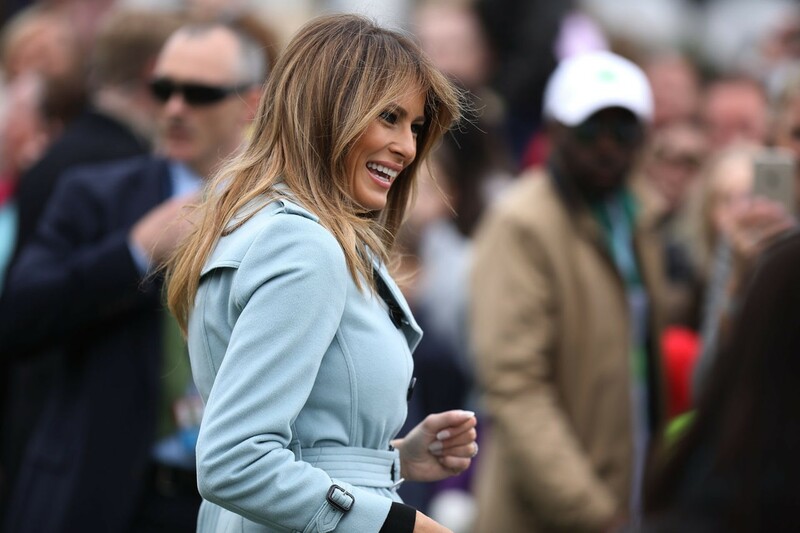 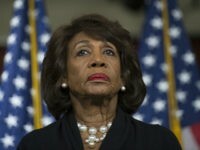 She reinvented the look earlier this month, wearing an ice blue coat by Max Mara. 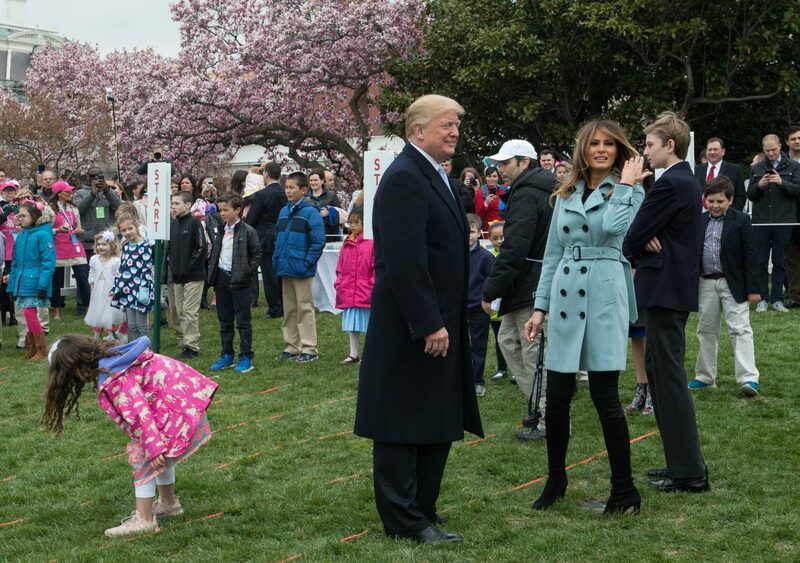 For Spring, Mrs. Trump has catered to a wardrobe of bright colors — wearing a colorful Azzedine Alaïa dress for Easter Sunday — but has mostly stuck to coats as her go-to silhouette at the moment. 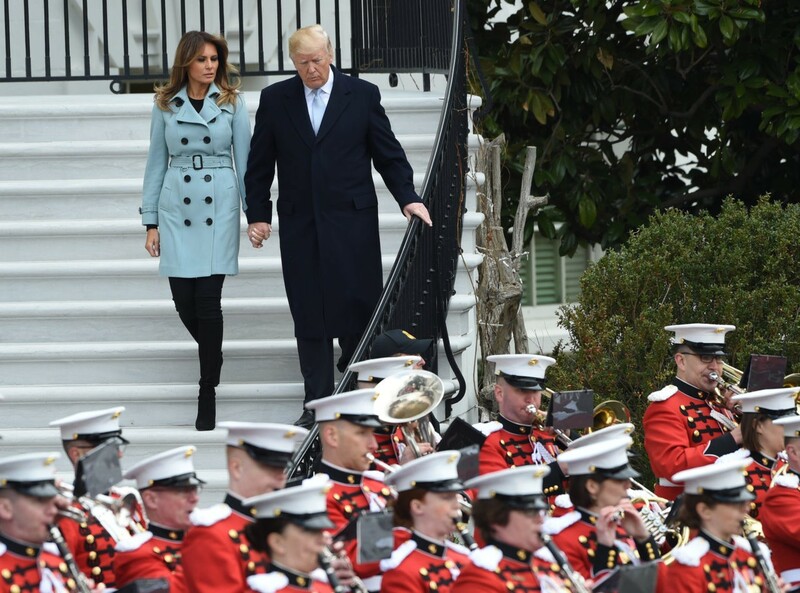 Last month, she stunned at the White House in a Dolce & Gabbana, military-inspired coat.